Today was a beautifully nice and sunny day here in Southeastern Michigan. Since we hadn't done any smoking in awhile, I was requested to do so and the weather promised to be good for it. 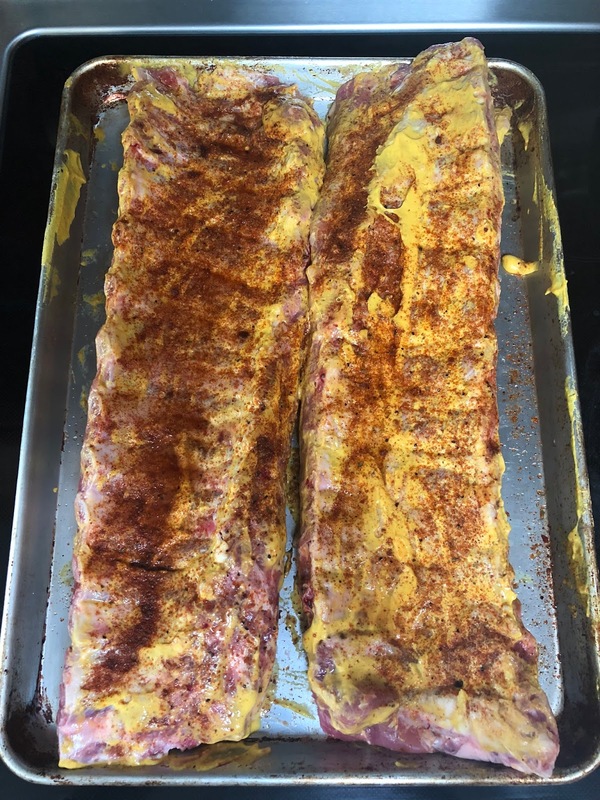 I picked up some ribs last night and prepared them for smoking, rinsing them off, drying and then applying some yellow mustard and spices. The mustard makes the spices stick. 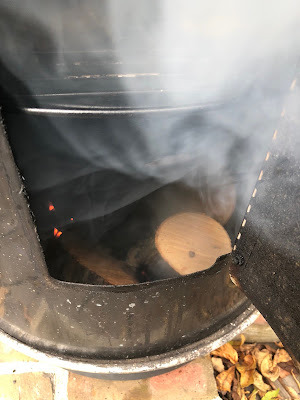 So today after some errands I started the smoker, getitng the charcoal going and using some locally-sourced hickory wood as the smoking wood of choice for the ribs. 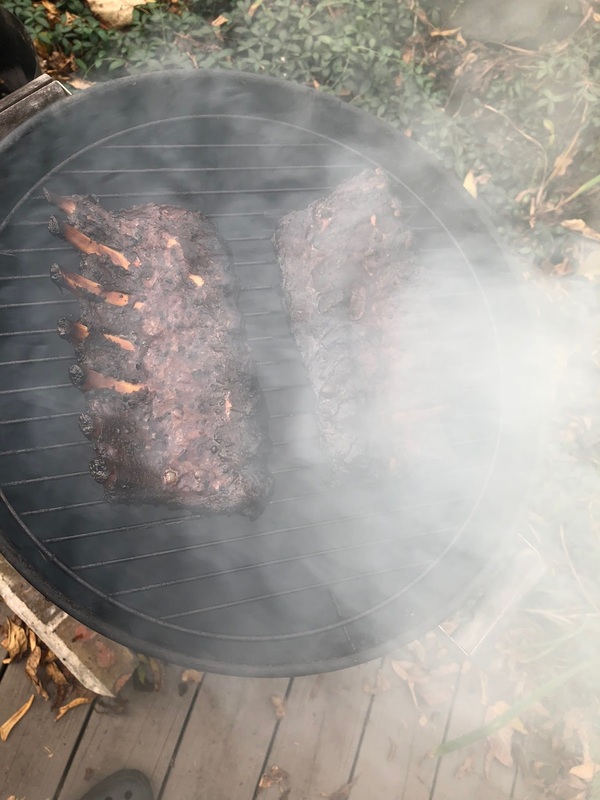 Smoked to perfection for hours, and they smell and more importantly taste great. 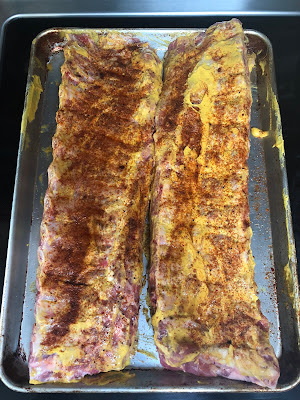 Yes, I've been suffering from eating excellent ribs for days. . . . It's rough, but someone has to do it.